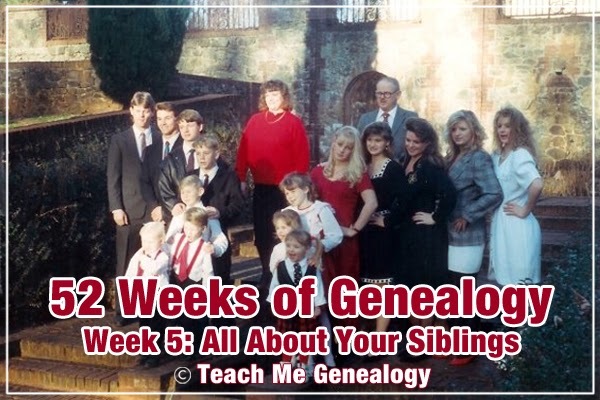 This week, it's all about our siblings. Take some time to document their names, birthdays, children, spouses and any other valuable information about them for your family history. An easy and effective way to do this is by filling out a family group record by clicking here. The above photo is a rare photo of the entire Burnes family. Now it's your turn to document all about your siblings.